OSWEGO – Mayor Billy Barlow announced today (March 26) the launch of a language interpreting service for all city of Oswego departments. The service will allow individuals with limited English speaking abilities to have words and conversations interpreted so they can receive city services without interruption or difficulty due to language barriers. The service, provided by Language Line, will provide approximately 9,000 professionally trained interpreters fluent in more than 240 languages to assist with interpretation services, 24 hours a day, seven days a week. “Communication between local government and our constituents is paramount and this service ensures that everyone coming to City Hall for assistance can communicate effectively and receive adequate service,” Barlow added. He noted that in the city of Oswego’s Section 8 Rental Assistance Program alone, roughly 15% of the clients use English as a secondary language. The implementation of a language interpreting service also brings the city of Oswego into compliance with federal regulations set forth in legislation like the Americans with Disabilities Act Title II and the Equal Educational Opportunities Act. The attached diagram shows how the service is administered (LEP = limited English speaker person), (Client = City of Oswego). 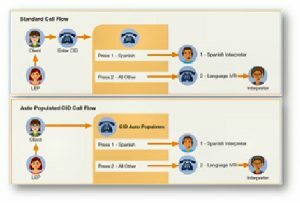 Individuals seeking assistance with the new Language Line service should request use of the service when visiting City Hall. 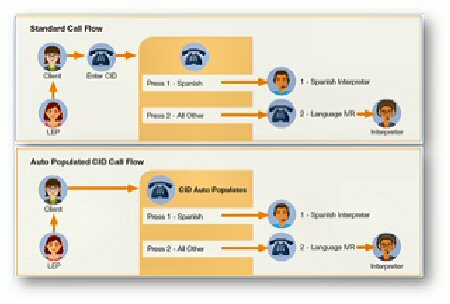 The city employee will dial for the interpreter and service will be administered without delay.